Nuclear medicine techniques may be used in the event that MRI is not available, but they have the disadvantages of being non-specific and requiring the use of ionizing radiation. 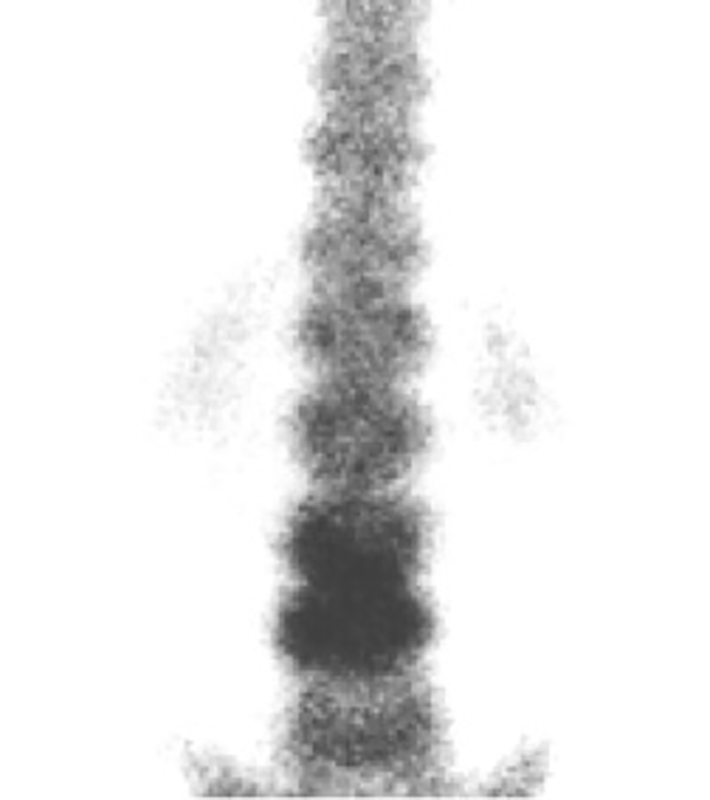 Location activity indicative of diagnosis: Bone scintigraphy will demonstrate increased uptake in the vertebral bodies of either side of an infected disc (discitis) or increased uptake in bone tumors particularly osteoid osteoma. Discitis and vertebral osteomyelitis may not be easily distinguished in the early stages of the infections. 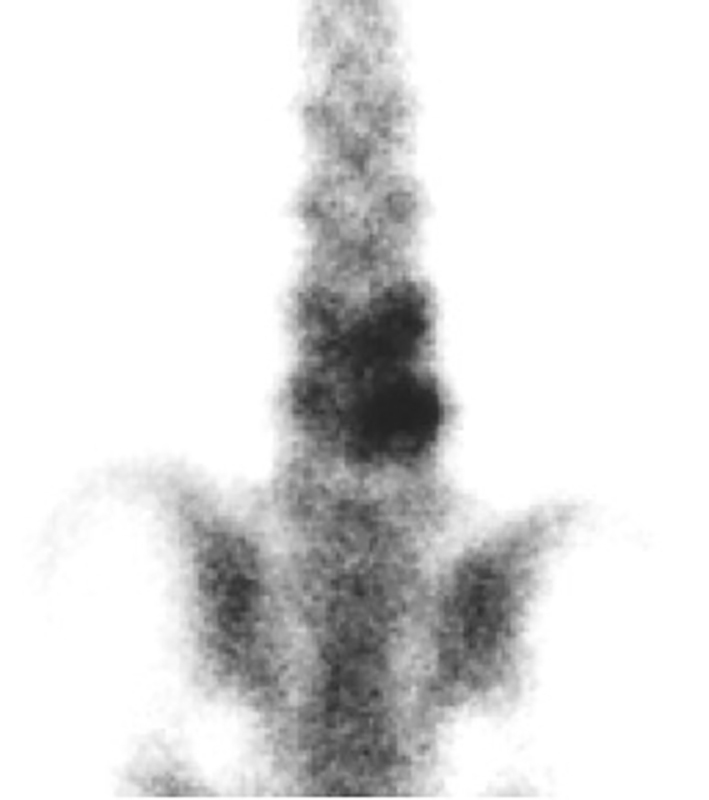 Good for imaging spondylolysis: Bone scintigraphy and more recently positron electron tomography (PET) scanning are very sensitive to the detection of spondylolysis (7).